Chris is a highly proficient freelance writer and publicist who has learned from more than a decade of entertainment, arts, business and travel writing that you have to be an energetic self-starter to survive the freelance writer game. 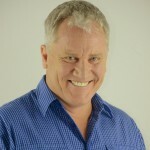 He was an entertainment reporter for Bmag (since the magazine’s inception in 2006) and contributed to business and wine industry journals Business Review Australia and Australia & New Zealand Grapegrower and Winemaker. 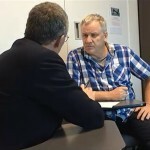 Chris produces Entertainminute - a ‘what’s on’ video blog about the latest shows opening in Brisbane. 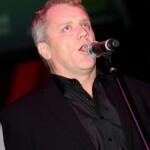 Musical theatre, opera, pop, easy listening, hard rock, heavy metal… Chris sings it all! 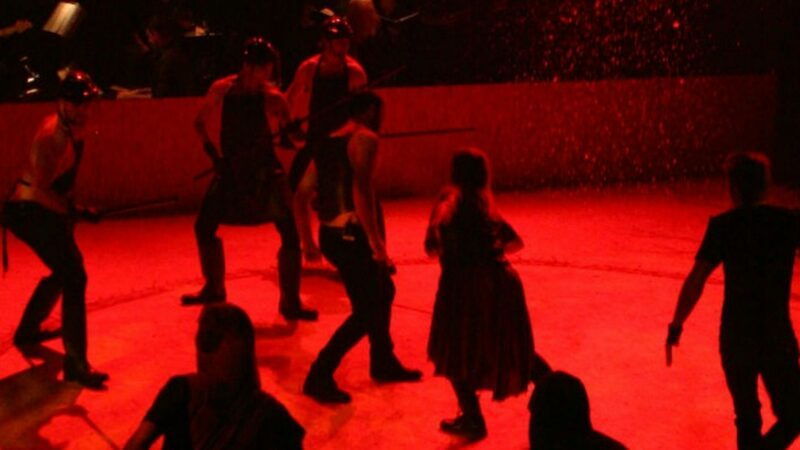 Chris played Danny in XANADU in Harvest Rain Theatre Company's inaugural Incubator program in 2015 and was leading man in Boadicea-The Celtic Rock Opera at La Boite's Roundhouse Theatre. 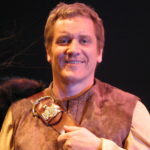 He was in the heartBeast cast that presented a reading of The Cellophane Ceiling by Ian Callinan, former Justice of the High Court of Australia. Chris wrote and facilitated an Independent Schools Queensland Innovation Forum workshop of the music theatre work Hell & High Water (about the 17th Century shipwreck Batavia) at the Brisbane Exhibition & Convention Centre. He was in the critically acclaimed off-Broadway hit I Love You... You're Perfect... Now Change! 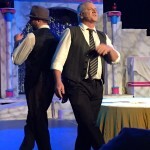 (Cement Box and Roundhouse Theatre productions), wrote and performed An Australian Tribute to an American Sweetheart for the Brisbane Cabaret Festival and was Macduff and chorus master for the record breaking Macbeth- the Contemporary Rock Opera (4900 seats sold in 17 performances at the Cremorne Theatre). Other theatre credits include The Sentimental Bloke,Tommy, Chicago, Fiddler on the Roof, White Horse Inn, Chess, Chu Chin Chow, Maid of the Mountains, Annie, Scrooge, The Desert Song, Hits of the Blitz, Cabaret and The Boys from Syracuse. 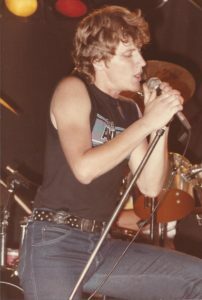 As frontman for Newcastle-based hard rock bands Unleashed and Bowser, Chris toured extensively supporting national and international acts including INXS, Steeleye Span, XTC, The Cure, Uriah Heap, Motorhead and Midnight Oil. Chris is a participant in the Simulated Patient programs of both Bond University and the University of Queensland. These programs are used in students’ yearly exams and assessments in all areas of general practice, physiotherapy, cardio-vascular and neurology, psychiatry, speech pathology and more. Simulated Patients behave as real patients might in a given situation. Students are given the opportunity to practice their inter-personal communication and clinical skills in a hospital setting. The Simulated Patient is one of a supportive group of colleagues, flexible educational aids trained to present a patient history and sometimes to simulate a patient’s symptoms. The level of complexity of a case can be adjusted to meet the needs of the student. Simulated Patients (sometimes referred to as ‘standardised patients’) are employed across all levels of medical training. Standardisation is key and so the Simulated Patient strives to ensure that each successive student will be challenged by the same presenting problem. Simulated Patients are frequently called upon to provide constructive and reliable feedback regarding a student’s professional manner and interpersonal skills. In 2009, Chris joined the University of Queensland School of Medicine Men’s Health Teaching Associate Program (MHTA). This pioneering program is an Australian first in which a team of men, led by a core group of experienced Simulated Patients, conduct and teach students safe and effective examination procedures. 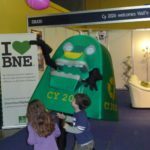 Many Brisbane kids, their parents, teachers and municipal council staff remember the cheeky recycling bin character CY 2026. Chris was the actor playing Brisbane City Council's Waste Services recycling mascot who, from 2006 to 2010, served as a fun educator on good recycling practices through his attendance at the EKKA, Council Green Day events, City Smart functions, school visits and Christmas in the Mall media events.